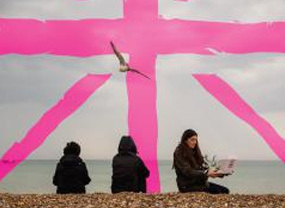 Otherplace is one of Brighton's biggest production companies, and last year we staged a whopping 349 performances across four venues for Brighton Fringe 2014. In Jan 2015 we moved to our new venue The Basement (24 Kensington St, Brighton) from our previous long-established theatre Upstairs at Three and Ten in Steine Street, Kemp Town, winner of Best Comedy Venue in the South East. We also run The Warren which will now be in the grounds of St Peter's Church every May, and put on shows in a variety of performance spaces across town.